Stream music from your favorite music apps, including iHeartRadio, and Slacker Radio. Feel confident all year round. 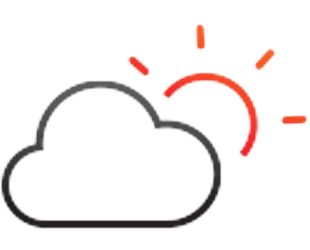 Updated weather services powered by HD Radio™ 33 help keep you prepared. Pay less at the pump. 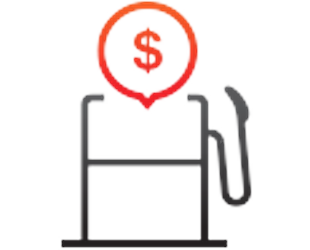 Up-to-date data helps you find the best deal on gas in your area (fuel prices not available on Mirai). Dinner and a movie? Entune® App Suite 45 has the apps to help you plan the perfect night every time. Say it. Find it. It’s that easy. 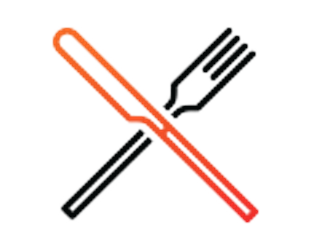 Use your voice to access apps like Yelp® and Destination Search. WHAT ENTUNE® FEATURES DO I HAVE? All new Toyota vehicles equipped with Entune™ Premium systems offer complimentary access to the available Entune® App Suite. This easy-to-use service helps you plan a night out, get that perfect playlist and more. Just download the app and register, pair your phone and go. Entune App Suite connects you with features like Yelp, Slacker Radio, Sports, Weather & Traffic to your radio screen and Bluetooth. Making it easier and safer for you to plan a night out, get that perfect playlist and more. Just download the app, register, pair your phone and go. Take advantage of the wide array of advanced technologies available in your new Toyota! Whether its Toyota’s Connected Services or features like Apple CarPlay™37, Scout® GPS Link41 or your industry-leading JBL® audio system, Toyota vehicles have the tech you need to give you peace of mind all while making your daily drives more fun! Enjoy complimentary trials in new Toyota vehicles equipped with Connected Services including Remote Connect, WiFi and more! Scout® GPS Link App 41 is a cell phone-based navigation app that will overlay turn-by-turn directions on the Entune™ Audio Plus systems display screen. 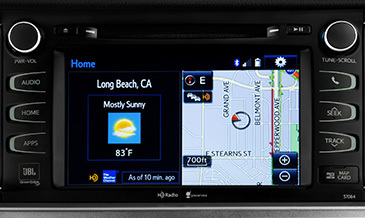 Entune™ Audio Plus systems are not available on all Toyota vehicles. Scout® 41 is a smartphone-based navigation app that gives you turn-by-turn directions through your Entune™ Audio Plus system. Once you’ve downloaded the Scout® GPS Link App to your Entune™ Audio Plus system using your compatible smartphone and paired your smartphone to your Entune™ Audio Plus system via Bluetooth®, you are ready to go. This app then finds your location using your smartphone and delivers turn-by-turn directions through your Entune™ system. If you have a 2016 or later Entune™ Audio Plus system, all you need to do is download the Scout® GPS Link App to your phone your vehicle. After Scout® GPS Link App is installed on your Entune™ Audio Plus system, it will appear on the APPS screen. Finding your destination is easy with Scout® GPS. Based on the first letters and numbers you type and your current location, Scout® GPS automatically suggests addresses and points of interest. All you have to do is select the correct location from the suggested destinations, and you’ll get directions. Getting there is even easier. 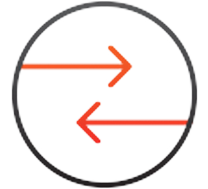 Just say or type the address you would like to go to and Scout® GPS will give you up to three routes to choose from. Once you’ve selected your route, you will get turn-by-turn directions displayed on your vehicle’s touch-screen display and through audio commands. You can search for your destination hands-free by pressing the talk button on the steering wheel. Simply say the name, category or address and then follow the voice prompts to select your location and receive turn-by-turn directions. All new and certified pre-owned Toyota vehicles come with a 3-month SiriusXM All Access trial subscription. 26 Rock every channel available in your car, including all of the premium programming. That’s right. Three glorious months of commercial-free music, plus sports, news, talk and comedy – and the occasional air drum solo. Give SiriusXM a try—for three glorious months. 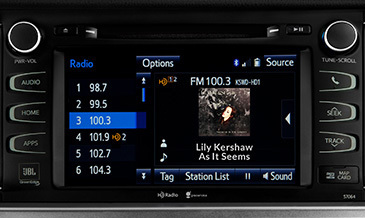 All new Toyota vehicles come with a 3-month SiriusXM All Access trial subscription. 26 Rock every channel available in your car, including all of the premium programming. That’s right. Three glorious months of commercial-free music, plus sports, news, talk and comedy – and the occasional air drum solo. Since streaming is also included with All Access, SiriusXM is off-road equipped. 30 So now you can listen anywhere through your computer, smartphone and tablet. You can even listen to shows on demand and customize your favorite music and comedy channels. Take a peek at what you’ll get with SiriusXM. 30 Watch exclusive live performances and interviews with the hottest artists and celebrities from our studios. Get more channels and variety in crystal-clear digital sound—all 100% subscription-free. 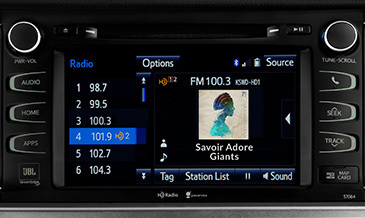 HD Radio™ Technology 33 is available in 2016 and newer Toyota vehicles and offers more content than the radio dial. HD Radio™ stations 33 upgrade the traditional radio experience with crystal-clear sound and album art. Plus, get access to digital-only channels for even more content. Get it all without a subscription or monthly fees. 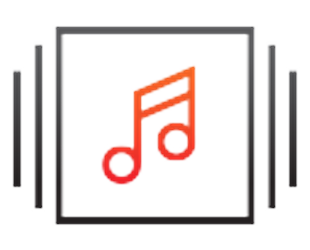 More music, news and sports—100% subscription-free. There are more than 2,100 HD Radio™ stations 33 nationwide for your listening pleasure. These stations have also added over 1,700 new HD2/HD3 channels to their local markets, giving you more variety on your FM dial. When you’re listening on an available JBL® system, the sound is consistently exceptional no matter the input source. It’s just what you’d expect from 7 to 15 speakers and a stand-alone amp fine-tuned to match your Toyota’s individual acoustics. Several factors may affect smartphone and/or system performance including: 1 Smartphone operating system software version 2 Smartphone battery power level 3 Poor cellular reception to the smartphone 4 Multiple applications running on a smartphone at the same time. 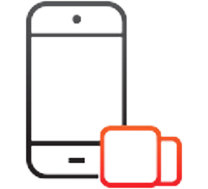 Smartphone operating system updates may affect Entune™ 3.0 app functionality. Toyota recommends owners use the original, or manufacturer approved, USB charging and data cables with their respective smartphone. Attempting to use an aftermarket smartphone USB charging cable may result in not being able to take advantage of all functionality, including the map stream capabilities, while using the Scout® GPS Link app. DISCLAIMERS: Several factors may affect smartphone and/or system performance including: 1 Smartphone operating system software version 2 Smartphone battery power level 3 Poor cellular reception to the smartphone 4 Multiple applications running on a smartphone at the same time. Smartphone operating system updates may affect Entune™ 3.0 app functionality. Toyota recommends owners use the original, or manufacturer approved, USB charging and data cables with their respective smartphone. Attempting to use an aftermarket smartphone USB charging cable may result in not being able to take advantage of all functionality, including the map stream capabilities, while using the Scout® GPS Link app. Connected Services vary by vehicle. Remote Connect and Service Connect not available on 2018 Sienna, 2018 Mirai and 2019 C-HR. MSRP excludes the Delivery, Processing, and Handling Fee of $920 for Cars (Yaris, Yaris iA, 86, Corolla, Corolla HB, Camry, Camry HV, Prius LB, Prius c, Prius Prime, Mirai, Avalon, Avalon HV), $1045 for Small/Medium Trucks, SUVs and Van (C-HR, RAV4, RAV4 HV, Highlander, Highlander HV, 4Runner, Sienna, Tacoma), $1,295 for Large SUVs (Sequoia, Land Cruiser), and $1,395 for Large Truck (Tundra). (Historically, vehicle manufacturers and distributors have charged a separate fee for processing, handling and delivering vehicles to dealerships. Toyota’s charge for these services is called the “Delivery, Processing and Handling Fee” and is based on the value of the processing, handling and delivery services Toyota provides as well as Toyota’s overall pricing structure. Toyota may make a profit on the Delivery, Processing and Handling Fee.) Excludes taxes, license, title and available or regionally required equipment. The Delivery, Processing and Handling Fee in AL, AR, FL, GA, LA, MS, NC, OK, SC and TX will be higher. The published prices do not apply to Puerto Rico and the U.S. Virgin Islands. Actual dealer price will vary. 2017 EPA-estimated city/highway mileage. Actual mileage will vary. 2018 EPA-estimated city/highway mileage. Actual mileage will vary. 2017 EPA-estimated 67 city/67 highway/67 combined MPGe for Mirai and 312-mile driving range. Actual mileage will vary. Range measurement pursuant to SAE J2601 standards (ambient temperature: 20™C; hydrogen tank pressure when fueled: 70 MPa). Fueling time varies with hydrogen fueling pressure and ambient temperature. 2018 EPA-estimated 67 city/67 highway/67 combined MPGe for Mirai and 312-mile driving range. Actual mileage will vary. Range measurement pursuant to SAE J2601 standards (ambient temperature: 20™C; hydrogen tank pressure when fueled: 70 MPa). Fueling time varies with hydrogen fueling pressure and ambient temperature. 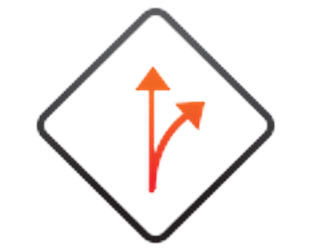 Dynamic Navigation is dependent upon an operative telematics device, a cellular connection, navigation map data and GPS satellite signal reception, and other factors outside of Toyota™s control, which can limit the ability or functionality of the system. To learn about Toyota Entune™ 3.0™s data collection, use, sharing and retention, please visit https://www.toyota.com/privacyvts/. Use common sense when relying on information provided. Services and programming subject to change. Services not available in every city or roadway. Subscription required upon end of trial service period. See Navigation System Owner’s Manual for additional details. Trial length and service availability may vary by model, model year or trim. iPod™ and iPhone™ are registered trademarks of Apple Inc. All rights reserved. JBL™ is a registered trademark of Harman International Industries, Incorporated. SiriusXM™ audio services require a subscription sold separately by Sirius XM Radio Inc. If you decide to continue service after your trial, the subscription plan you choose will automatically renew thereafter and you will be charged according to your chosen payment method at then-current rates. Fees and taxes apply. To cancel, you must call SiriusXM at 1-866-635-2349. See SiriusXM Customer Agreement for complete terms at www.siriusxm.com. All fees and programming subject to change. Not all vehicles or devices are capable of receiving all services offered by SiriusXM. Current information and features may not be available in all locations, or on all receivers. ™ 2018 Sirius XM Radio Inc. SiriusXM and all related marks and logos are trademarks of Sirius XM Radio Inc.
Use only if aware of circumstances surrounding vehicle and it is legal and safe to do so (e.g., do not remotely start engine if vehicle is in an enclosed space or is occupied by a child). Functionality depends on many factors, such as vehicle and smartphone connectivity. Registration and app download are required. Subscription purchase required after trial. See usage precautions and service limitations in Owner’s Manual. 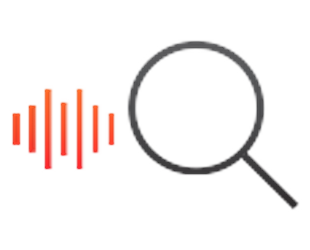 HD Radio™ Technology manufactured under license from iBiquity Digital Corporation U.S. and Foreign Patents. HD Radio™ and the HD, HD Radio, and ™Arc™ logos are proprietary trademarks of iBiquity Digital Corp.
JBL™ and Clari-Fi™ are registered trademarks of Harman International Industries, Incorporated. Be sure to obey traffic regulations and maintain awareness of road and traffic conditions at all times. Availability and accuracy of the information provided by the navigation system is dependent upon many factors. Use common sense when relying on information provided. Services and programming subject to change. Services not available in every city or roadway. Updates may be available from your dealer at an additional cost. See Owner’s Manual for details. iPod™, iPhone™ and App Store are registered trademarks of Apple Inc. All rights reserved. Apple CarPlay™ is a registered trademark of Apple Inc. Apps and services subject to change at any time without notice. Toyota Safety Connect™ is dependent upon an operative telematics device, a cellular connection and other factors outside of Toyota’s control, which can limit the ability to reach the response center or receive emergency support or otherwise limit the functionality or availability of the system. Terms and conditions of subscription service agreement apply. To learn about Toyota’s data collection, use, sharing and retention, please visit https://www.toyota.com/privacyvts. Stolen vehicle police report required to use Stolen Vehicle Locator. Information provided is based on the last time data was collected from the vehicle and may not be up to date. 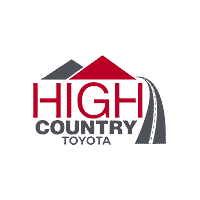 Service Connect is dependent upon an operative telematics device, a cellular connection, navigation map data and GPS satellite signal reception, and other factors outside of Toyota™s control, which can limit the ability or functionality of the system. To learn about Toyota Entune™ 3.0’s data collection, use, sharing and retention, please visit https://www.toyota.com/privacyvts/. The Scout™ GPS Link app is compatible with select vehicle models. 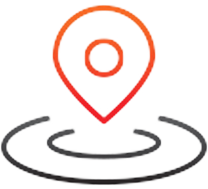 Availability and accuracy of the information provided by Scout™ GPS Link is subject to change at any time without notice and is dependent upon many factors, including smartphone connectivity, capability and cellular reception. Always use safe driving practices and follow all traffic rules. Data charges may apply. Scout™ and Telenav™ are registered trademarks of Telenav, Inc.
Destination Assist is dependent upon an operative telematics device, a cellular connection, navigation map data and GPS satellite signal reception, and other factors outside of Toyota’s control, which can limit the ability or functionality of the system. Use common sense when relying on this information. To learn about Toyota Entune™ 3.0’s data collection, use, sharing and retention, please visit https://www.toyota.com/privacyvts/. See Owner’s Manual for additional details. Always drive safely, obey traffic laws and focus on the road while driving. Siri™ is available on select iPhone™/iPad™ models and requires Internet access. Siri™ is not available in all languages or all areas and features vary by area. Some Siri™ functionality and commands are not accessible in the vehicle. Data charges may apply. See apple.com and phone carrier for details. Siri™ is a registered trademark of Apple Inc. The Bluetooth™ word mark and logos are registered trademarks owned by Bluetooth SIG, Inc., and any use of such marks by Toyota is under license. A compatible Bluetooth™-enabled phone must first be paired. Phone performance depends on software, coverage and carrier.